The Feed the Future Innovation Lab for Peanut research applies innovative science to improve peanut production and use, raise awareness on nutrition, and increase food safety in developing countries. In the U.S., farmers can grow 6,000 pounds of peanuts on an acre, but in developing countries, farmers get 500 pounds an acre. 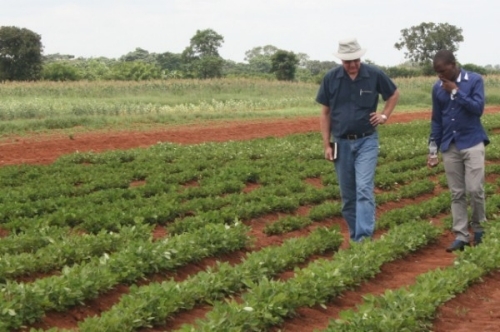 Disease-resistant varieties and information about where to invest limited resources in the field are closing the gap. 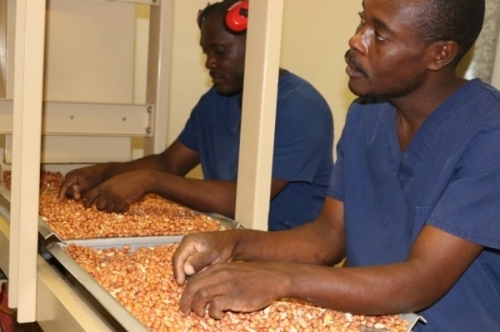 Peanuts are a staple part of the diet in much of the world, but poor storage and processing can lead to spoilage and aflatoxin contamination. Research is helping processors – small and large – learn how to get a safe product to market. A handful of peanuts has as much protein as two chicken eggs. 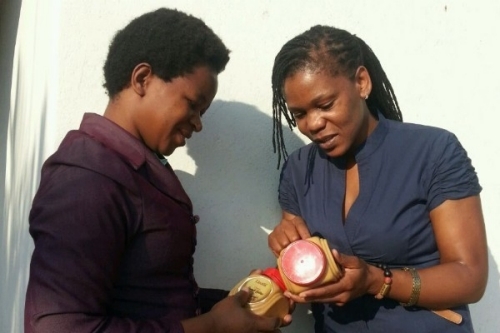 Understanding how peanuts fit into a healthy diet encourages investment in the commodity and gets healthy snacks into the hands of kids who need them.